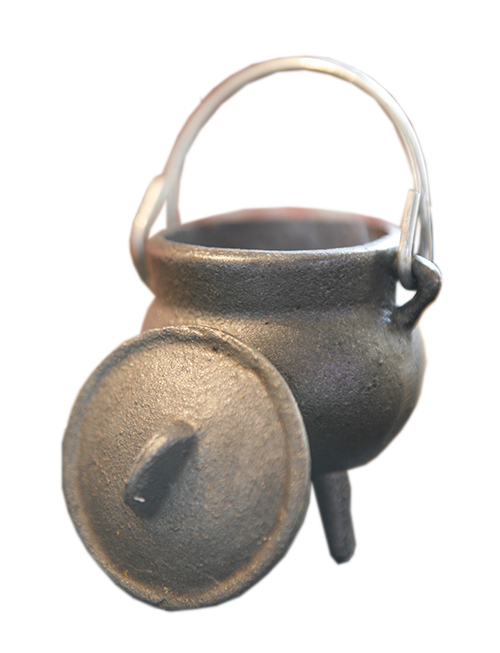 CAULDRONS are used to light charcoal bricks for magical powdered incense. 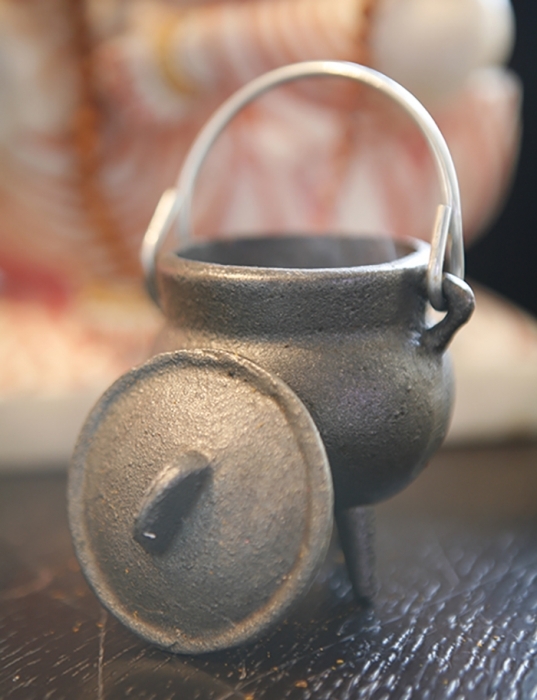 I dig these cauldron styles because they are a bit "witchy." 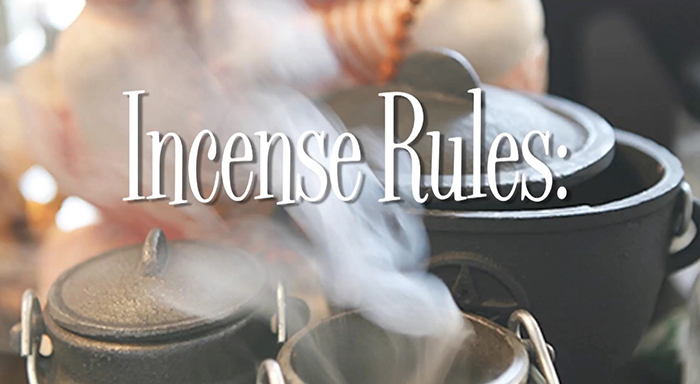 Light the charcoal, sparks fly, sprinkle incense on top and send your smoke-filled prayers to heaven. Use the lid to extinguish when finished. These cast iron cauldrons are heavy duty to withstand heat. 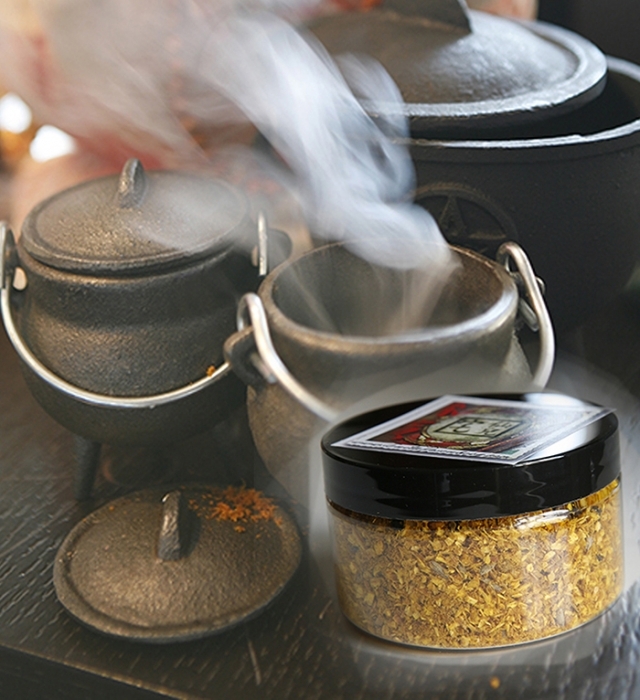 The handles allow you to waft smoke throughout your rooms to create a sacred space. 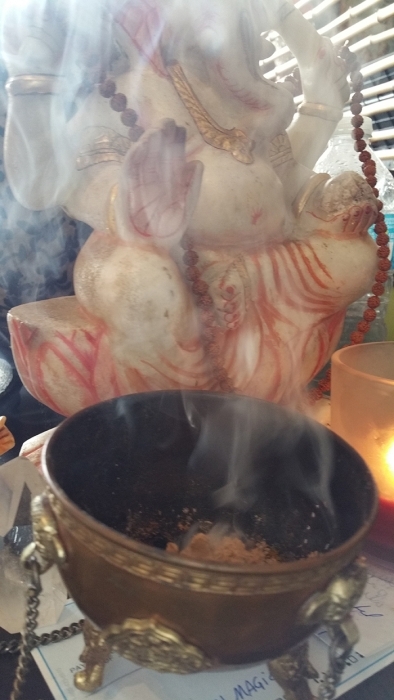 My custom blend incenses includes: Ganesh, Money Seal, Lakshmi, Golden Unicorn and Money Money.